The MD Anderson Cancer Center presented its annual award to Dr. Scheinberg in recognition of his pioneering work in developing chemotherapeutic agents for leukemia and other cancers. David A. Scheinberg has received the 2012 Emil J. Freireich Award. The award, which is presented annually by MD Anderson Cancer Center, is named for Dr. Freireich, a pioneer in the development of chemotherapy as a mode of treatment for cancer, especially leukemia. Dr. Scheinberg is a physician-scientist who specializes in the care of patients with leukemia. He is investigating new therapeutic approaches to cancer, both in the clinic and in the laboratory. His research is focused on discovering and developing novel, specific immunotherapeutic agents. These include monoclonal antibodies that target the surface of cancer cells, targeted radiopharmaceuticals that deliver radioactive particles including alpha particles or alpha particle nanogenerators, targeted nanodevices that selectively kill cancer cells, and therapeutic vaccines that target the oncogene products that cause cancers. Eight different therapeutic agents developed in Dr. Scheinberg’s laboratory have reached human clinical trials. His laboratory is also investigating cellular resistance mechanisms to these agents. 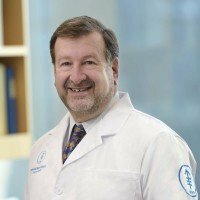 Dr. Scheinberg is Chair of Memorial Sloan Kettering’s Molecular Pharmacology and Chemistry Program and the Experimental Therapeutics Center and holds the Vincent Astor Chair. 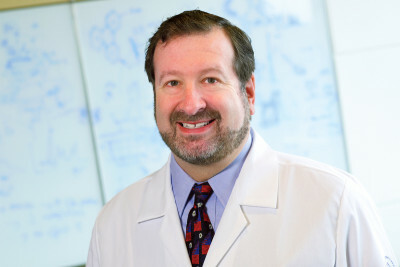 He earned his MD and PhD degrees from Johns Hopkins School of Medicine and joined Memorial Sloan Kettering in 1987. Physician-scientist Charles Sawyers is the only previous Memorial Sloan Kettering winner of the award.